Love how sharp and vibrant this is. I have used this beautiful photo of yours in my blog. I have given you full credit and a link back to your Deviantart page. Thanks for having this available to use. You can check it out in this link. JAYSUS CHRIST! This is amazing! Stunning shot....the angle is perfect. oh mua gosh did u actually take thatt...? O.M.G! 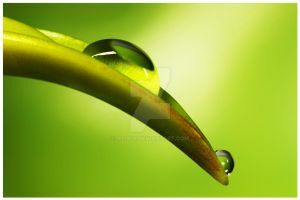 Totally mind blowing, what camera do you use to take such clear macro shots? Check my photography photos, if you wish. Awesome shot! What lens did u use? Wow, this is so cool! I love it! Awesome! Great composition and lighting of subject. Will you visit me deviantart, I'm new and an amateur photographer, I would really appreciate your advice!